Magazine FOM expres - Last edition! From 1 January 2017 onward the current FOM organisation will be incorporated in a new organisation together with other NWO divisions. See the information page about the NWO transition. FOM expres, a magazine published by FOM four times per year, was therefore sent out for the last time in December 2016. 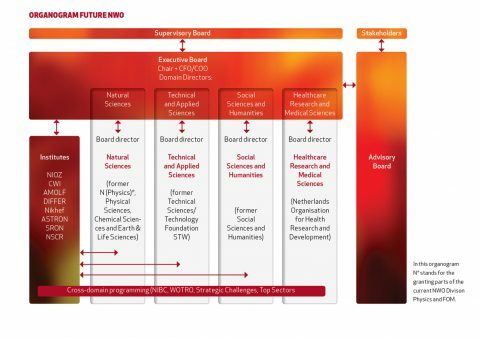 The magazine was sent by post to all (former) FOM employees, FOM workgroup leaders, board and advisory committees, contacts at universities and companies, and other persons interested. 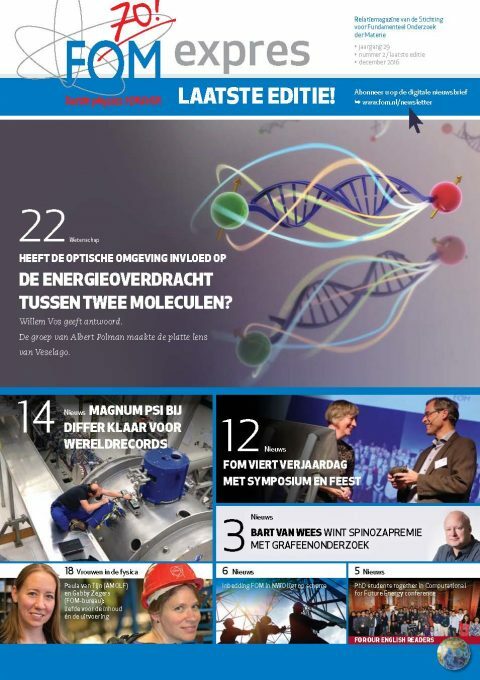 Instead of FOM expres, the new new digital newsletter 'Dutch Physics News' was launched. See the website for more information. The bulletin 'FOM expres' was in Dutch, but every issue had a few items in English as well. The articles in the section 'Women in Physics' are available in English on the website. The article about SciPost.org (about Open Access) is also available in English. Please download the article in the upper right corner of this webpage. You can download and scroll through the latest issues of the magazine FOM expres via ISSUU. Previous editions of the FOM expres can also be found on the Dutch FOM website.